Quietly, the Marines of Alpha Company, 2nd Tank Battalion, have joined the fight in Helmand province, Marine officials said. 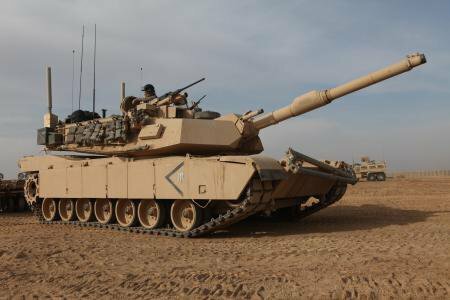 The unit replaced Delta Company, 1st Tanks, which became the first U.S. forces to operate tanks in the Afghanistan war earlier this year. Delta Company returned home to Twentynine Palms, Calif., late last month, but the mission rolls on. To date, not much has been shared publicly about 2nd Tanks’ mission. It is clear that they’re in northern Helmand province and attached to Regimental Combat Team 8, which oversees operations in Sangin, Musa Qala, Kajaki, Now Zad and other districts. In one example of their use, 2nd Tanks elements have been assisting elements of 3rd Battalion, 2nd Marines, near Now Zad in a “picket line” designed to prevent insurgents from harrassing travelers. Both units are out of Camp Lejeune, N.C. The mission can be tedious and uneventful, but the Marines sitting in trucks and tanks 24/7 understand their purpose. Their actions allow the far-flung districts of Now Zad and Musa Qal’eh to tie into the commerce and prosperity of the rest of Northern Helmand province. The 3rd Battalion, 2nd Marines is working to spread the word amongst the people that they may once again drive where they choose. One can only hope they’re still using Freak Show, the tank highlighted in this story. Hey there, I am a marine currently deployed over there. I was wondering if you guys have wrote any articles on 2nd CEB. Or more specifically route clearance. Thank you for your time.